McDonald’s Tells All: Gifted Marketing Or True Transparency? 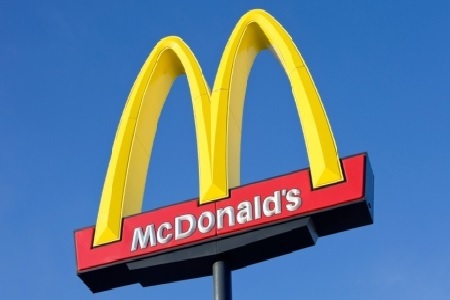 McDonald's Tells All: Gifted Marketing Or True Transparency? ABC News’ Gio Benitez was granted unprecedented access to McDonald’s U.S. beef supplier, a Cargill processing plant, in Fresno, CA. Talk about transparency! Along with this insiders’ look at where the beef comes from, a new marketing campaign will launch on Monday, Oct 20 encouraging the public to engage with McDonald’s through social media. The public will be able to ask their most probing questions about the food McDonald’s serves in its fast-food restaurants. No question seems to be off-limits and, from what has been previewed so far, the answers appear to be candid and truthful. Benitez, when reporting on Good Morning America (GMA), commented on the fact that he didn’t think the “pristine” appearance of the processing plant was just for show. He says that everyone wearing the sterile suits and shoe covers appeared to be completely comfortable doing so. Benitez seems to be appropriately impressed. Plant representatives addressed the idea that McDonald’s doesn’t use 100 percent ground beef in its patties, debunking one of the most-common misconceptions about the fast-food giant. GMA cameras were allowed into the processing plant, making history, according to Rickette Collins, Director of Quality Systems for McDonald’s. Regardless if it is sincere transparency or a brilliant marketing ploy, the results are the same and the idea ingenious. McDonald’s will benefit from coming out of the dark, so-to-speak, expecting to increase its profit and halt the decline of its market share over the last couple of years. On the other hand, the public will feel privileged to get a peek behind the scenes into one of the most gossiped about eateries in the world. Recent research has revealed that a whopping 63 percent of Americans mistrust the food industry, largely due to scandals and recalls. Transparency has been the subject of white papers and surveys. A Cornell University study found that consumers are: influenced by peer groups, are likely to exaggerate the perceived risks associated with eating certain foods, and would depend upon the internet to get their information, rather than television. McDonald’s is addressing all of these issues, head-on, through this history-making campaign. McDonald’s isn’t the only one reaping the benefits of this full-disclosure campaign; Cargill will benefit as well. As the campaign expands, you can expect to see the suppliers for such foods as Chicken McNuggets and McRib, also the topics of gross conversation, brought into the spotlight. Consumers are excited and looking forward to hearing the undiluted questions asked by people just like them. In this tech-savvy world, McDonald’s U.S. campaign will go global in short order. We’ve asked the question, “does the public view your brand as safe?” To the public, safety is not just whether or not it is pathogen-free. The word “safe” encompasses all aspects of processing. Consumers want to know the food animals are treated humanely. They are demanding information that not only tells them food manufacturers are utilizing the safest methods, but that profits are not the first priority. They don’t want to find that they’ve been lied to or deceived, even with the omission or addition of one small word, such as “organic” or “healthy” on a label. Truth in advertising and transparency will serve the public, and your company, best.